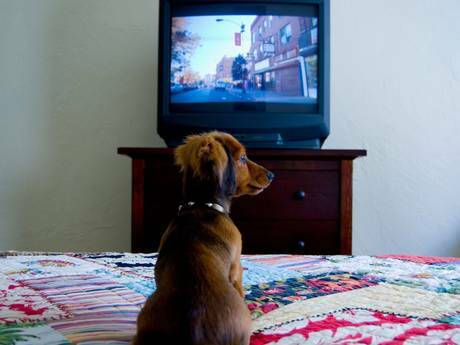 A TV station in Israel has this week announced that it’s to launch a new channel called Dog TV. may be the first thought that pops into your head, depending on if you’re a cat person or not. But hold on a sec … paws for thought a moment, for this is not a station about our canine friends, but rather for them. That’s right: a television channel for dogs to actually watch. Well, I say watch … I mean, you leave it on when for them when you go out so they have something friendly on in the background and so you don’t feel so guilty for not taking them with you. Each program is no longer than 6 minutes (presumably the memory of a dog is slightly longer than that of a goldfish, then ?) and they have been “scientifically designed to keep dogs stimulated, happy and comforted when they’re left alone”. Yeah, right … Cat TV. Like a cat would sit still long enough to watch anything. A dog would sit gawping for hours till it was told otherwise. Maybe it could be distracted by a stick flying across the room, but a cat ? Purr-lease ! A cat would listen to the radio. 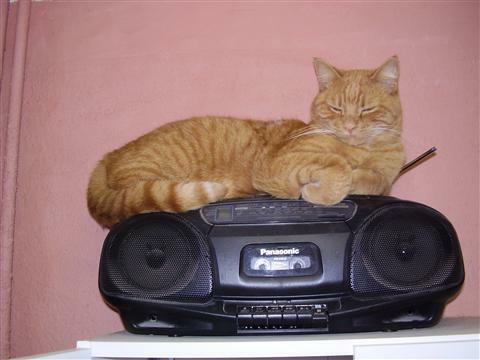 A cat would tune into a jazz station. A cat would amuse itself all day long without a problem. 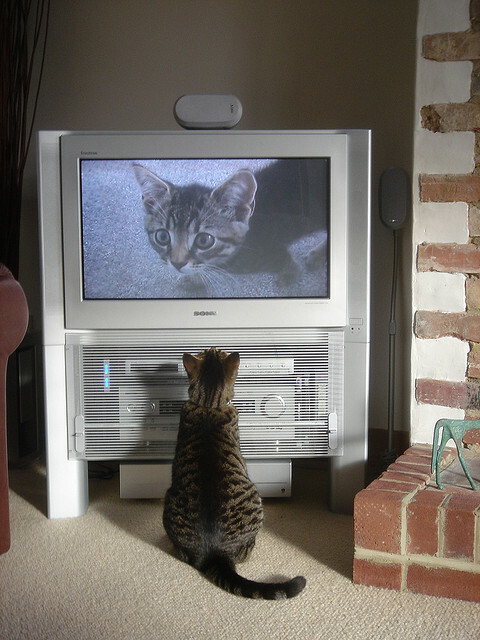 A cat would amuse itself just by watching a dog sitting in front of a television set. If it wasn’t switched, on the cat would find it even funnier. Alec Ginger won a Bafta for his portrayal of George Whiskas ­in this John Le Catty adaptation. This entry was posted in blogging, Media and tagged california, cat, cats, channel, dog, dog tv, dogs, israel, pet, pets, the dog channel, the good life, tom and jerry, tv by rigger67. Bookmark the permalink.